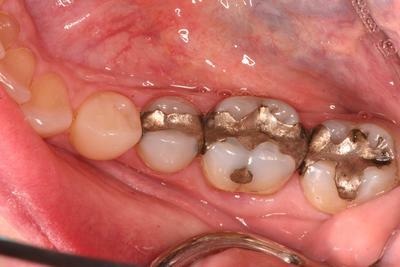 These photos illustrate the final results of removing large old silver ( amalgam ) fillings and replacing them with ceramic onlays. An onlay is a restoration that not only replaces the older silver fillings, but also adds strength to the tooth structure by covering the weakened parts of the tooth that were cracked by the expansion of the silver fillings. 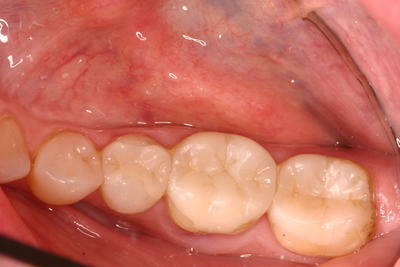 By using a specialized light we evaluated this patient’s teeth to determine if the fillings had caused any fractures. 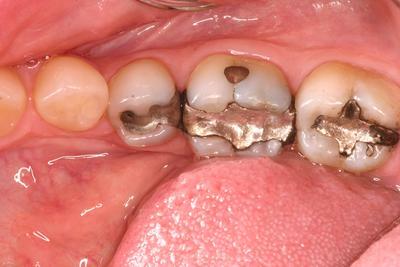 In this case, the fillings had all been placed in the teeth several years ago and through expansion of the metal, had cracked the teeth both vertically and horizontally. 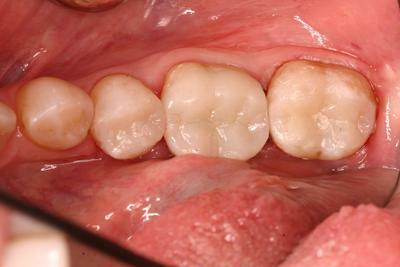 This is a very common situation but easily repaired with an onlay if the teeth have not yet broken. The Onlays were matched to the shade of the patient’s teeth and bonded to the real teeth for a very strong and natural looking result.